With Sons of Anarchy now in his rearview mirror, Charlie Hunnam is moving full steam ahead with his big screen career, appearing in several exciting projects coming down the pipeline. In a few months from now, we’ll see him leading Guy Ritchie’s King Arthur: Legend of the Sword, and this weekend, he’s appearing in theatres portraying real-life British explorer Percy Fawcett in the adventure drama The Lost City of Z. Directed by James Gray, the film tells the story of Fawcett and his obsession to find remnants of an ancient, highly advanced civilization in the Amazon jungle. After several failed attempts, Fawcett goes on one more expedition in the 1920s with his son (Tom Holland), but the two end up mysteriously disappearing, never to be heard from again. 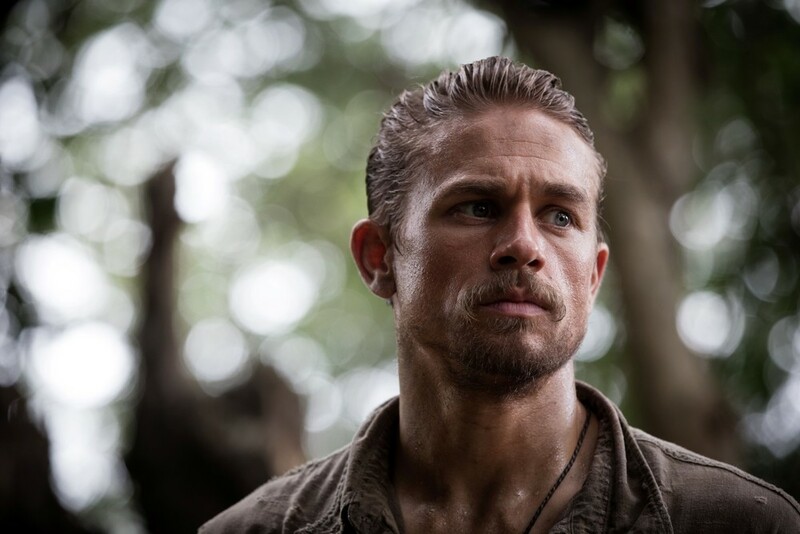 At the recent press day for the film, we sat down with Hunnam for an exclusive interview to talk about his love for exploring, what he found fascinating about Fawcett and his near-death experience filming in the jungle. Plus, the actor discusses his upcoming role in King Arthur. The Lost City of Z definitely tapped into my inner explorer. Did it have the same effect on you? Charlie Hunnam: It did. I’ve always loved a grand adventure well told. Big fan of that type of narrative as a kid. And I always loved exploring. I was fortunate to grow up in a rural place. I lived in Newcastle until I was 12 and I moved to the Lake District, which is a very sparsely populated, geographically extraordinary beautiful area of England. I had an uneasy period of adapting to the different culture elements of that place. I didn’t really fit in that well and spent an enormous amount of time alone during my teenage years. But I fell in love with the natural world because I lived at the bottom of this extraordinary fell and mountains. So I’d go out on the weekends, set off with a packed lunch at 7 in the morning and walk until sunset. Many times, I was too ambitious and getting back at 12 at night. And I’d be in trouble with my mum because she was terrified, afraid something terrible had happened to me. So yeah, in the process of making this film it really reignited, certainly in me, that sense of adventure. When we first got to Colombia, we tended to shoot close to our hotel and base camp. And then as we were going further into the process, we were going further and further out. Arguably further than where we needed to be because we found these locations that were beautiful, but we could have found them a little closer. But that sense of adventure got into all of our blood. What was it about Percy Fawcett’s story that made you want to tell it? CH: There were many elements of Fawcett, actually. Initially, I was really struck by the sense of tragedy that the story suggested. That I could also relate to, this idea that he sacrificed so much and endured so much hardship in order to try and prove this conviction that he had that this great society once existed. But he was rewarded for all that sacrifice by failure over and over again, which felt really tragic. But then I had this moment of epiphany in which I realized that ultimately, far greater than his desire to prove this theory of an ancient civilization existing in Amazonia, he was trying to answer the great and terrible question that we all ask ourselves: What the f**k does all of this mean? That’s where I started to get really excited and felt like it mitigated significantly the sense of tragedy in the story. Actually, it really wasn’t ever about finding Z. To begin with it was, but as he fell in love with the jungle and went on these expeditions, it was satisfying a much more primal urge, which is to find purpose in life. I just get the sense he felt the happiest and most at peace when he was out, embroiled in the purpose he set out to do and also just in the natural world. I think we’ve all become so disconnected from the natural world in our lives. People dramatically underestimate the medicine of being out somewhere quiet, in a beautiful place. Having the time and space to think and get into a bit more quiet, slow rhythm of life. It’s sad that we don’t really have these types of true explorers anymore, at least that we know of. CH: I think it’s just by function that the world is not a mystery to us anymore. At the time of Fawcett, they had no idea what South America had in store. I’m sure some of the coastal regions had been fairly well documented and explored. But it’s amazing to think there was that much mystery in the world even just 85 years ago. Unfortunately, we just don’t have that anymore.